Posted: March 17th, 2009 under DX, Hamradio, LoTW, RTTY. No radio to report about the last few weeks. I have worked nothing since late February. This weekend I had some time and conditions seemed to have picked up a bit. I just missed V63TO on 40M on Saturday morning. Suddenly 2 of them were on 30M CW. I couldn’t break the pile-up. Then V63PR popped up on RTTY and I worked him. Did struggle a bit since I had some qrm on frequency, but that was #180 on RTTY and #241 on 30M. A few minutes later I got through the pile for V63TO on 30M CW. On Saturday evening, 5Z4/DL8NBE was on 40M RTTY. I got him after a few calls for #181 on RTTY. Sunday morning Nigel G3TXF showed up on 30M as 6Y8XF. He was easily worked and had a nice and strong signal. On Tuesday morning conditions seemed fine, KH7XS was on 40M CW with a great signal. Didn’t bother to work him, as he is in my log. ZL1BVB and HR9/WQ7R was also strong this morning. LoTW is now up to #217. 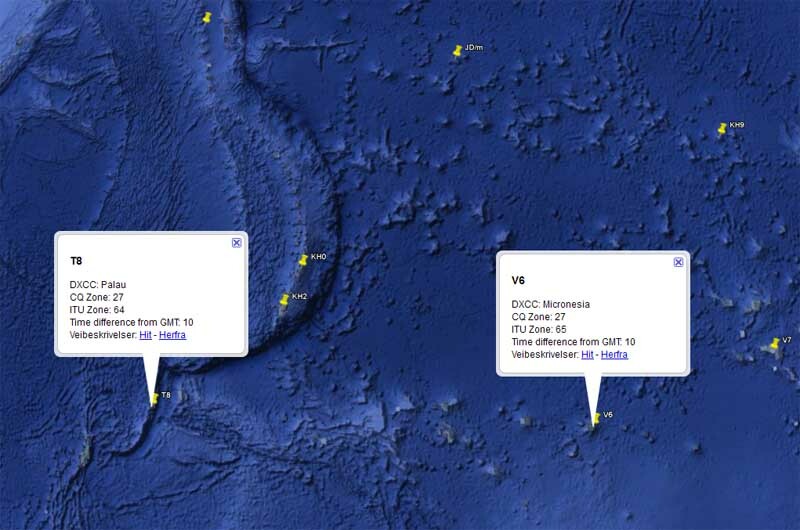 Latest new ones are VQ9RD, S21VJ and HV0A.